This article explains how to check if your area subscribes to our community tools, and points you to the next-best option if you can't find data for the place you're researching. Our online tools are commissioned by 300+ councils and regional authorities across Australia and New Zealand, but they're not available everywhere. If you're looking for a place that doesn't subscribe to .id's resources, you may still be able to find the data you're looking for. How can I tell if an .id page is available in my area? The ABS makes a comprehensive collection covering all parts of Australia. Search for your place using ABS quickstats. Similarly, if you're in New Zealand, find demographic data about your area via the Statistics New Zealand homepage. Some councils subscribe to resources from other providers. Google 'demographic profile for <your area>' and you should find any resources that are publicly available. Similarly, search 'economic profile for ___________' or 'population forecast for _______' to find those tools. If you can't find what you're looking for, contact your local council and ask for their information services team. In some areas, regional authorities such as Regional Devleopment Australia (RDA) or Regional Organisations of Councils (eg. SSROC - The Southern Sydney Regional Organisation of Councils) may help you find data for a wider area. You may also wish to search our blog - we've been writing about places in Austalia and New Zealand since 2010, so you may find a helpful reference from one of our experts there. Why does one profile have data that is missing in another? 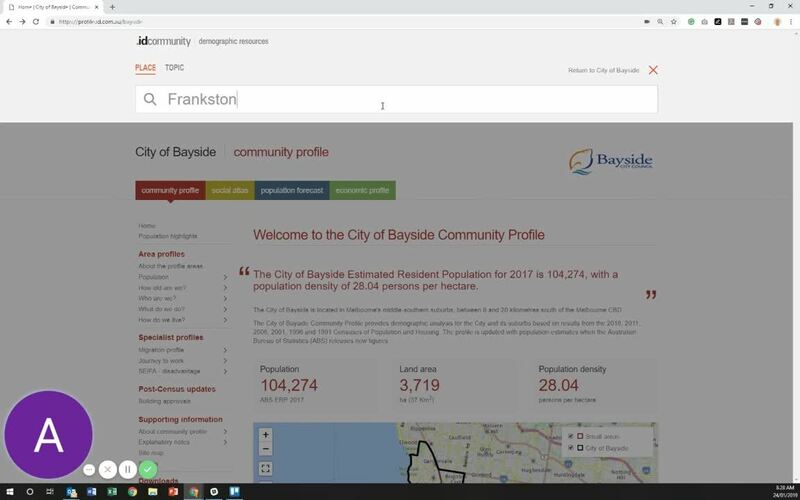 As our online resources are commissioned by individual councils and regional authorities, the data modules included in each profile are sometimes customised to reflect the makeup of the local community.